One of my fishing guides recommended this place for a stop so I checked it out at lunch time between fishing trips. 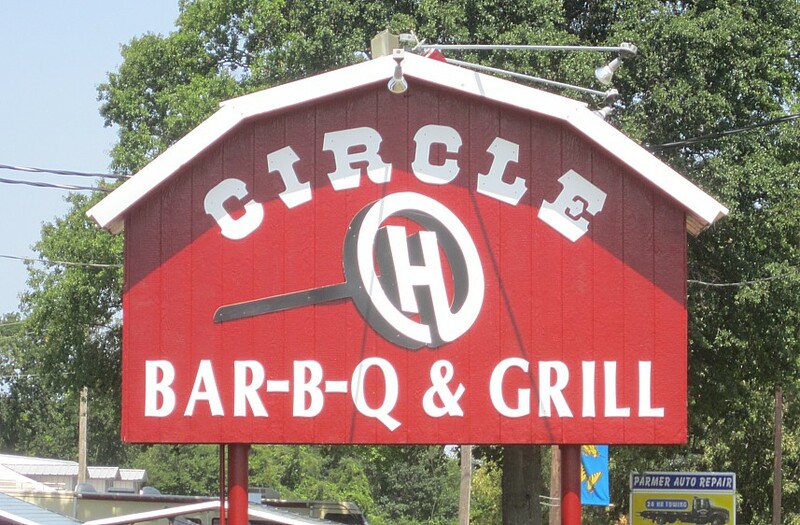 This joint is located near the intersection of US 69 and Texas 19 in Emory and is pretty easy to find. It's just south of the intersection on 69 on the west side. For lunch they have cafeteria style serving with a nice waitress who comes around and refills your tea and fetches sauce and fixin's if you need them. For this meal I got a 3 meat plate with brisket, ribs, and Pittsburg hot links. The brisket was tender and moist with well rendered fat but zero smoke flavor. 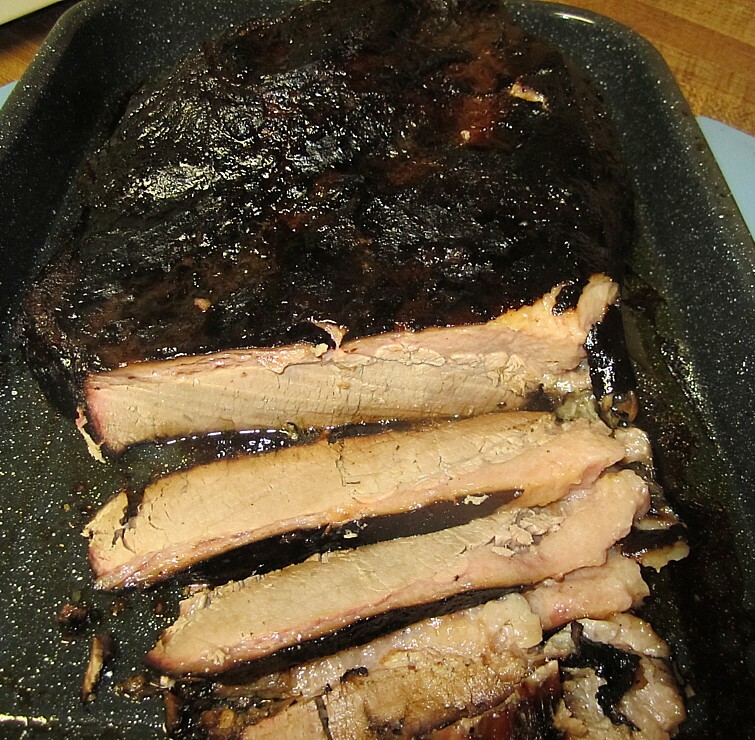 Sort of disappointing considering I had some of my wife's great smokey brisket in the fridge back at the motel. 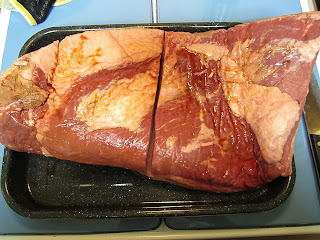 The meat was helped a bit by their sauce, which was thin and sweet with a light vinegar base. 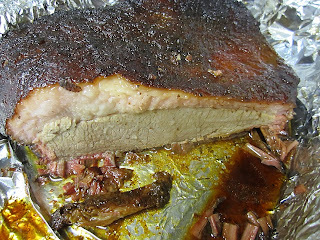 The ribs were a bit over-cooked to falling off the bone and were helped a bit by a sweet bark. They were tasty, but nothing to make a special trip for. This was the first time I had the Pittsburg hot links. I had always thought they were the standard pink East Texas style, but these were little brown darlings. They had a mushy consistency, almost like mashed potatos, and an interesting if unremarkable beef flavor. There was nothing hot about them, either temperature or spice. I'll stick to the standard pink ones given the option in the future. Of the sides, the best was the green beans with a nice ham flavoring throughout. The au gratin taters were average. They had excellent sweet tea. 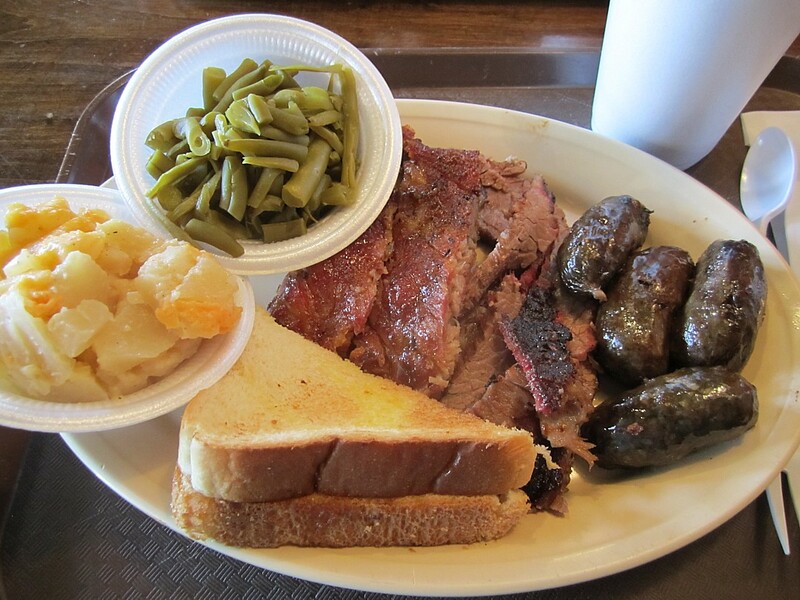 If I return I'll probably stick with a rib plate with a double helping of those green beans. My wife has really got brisket down. 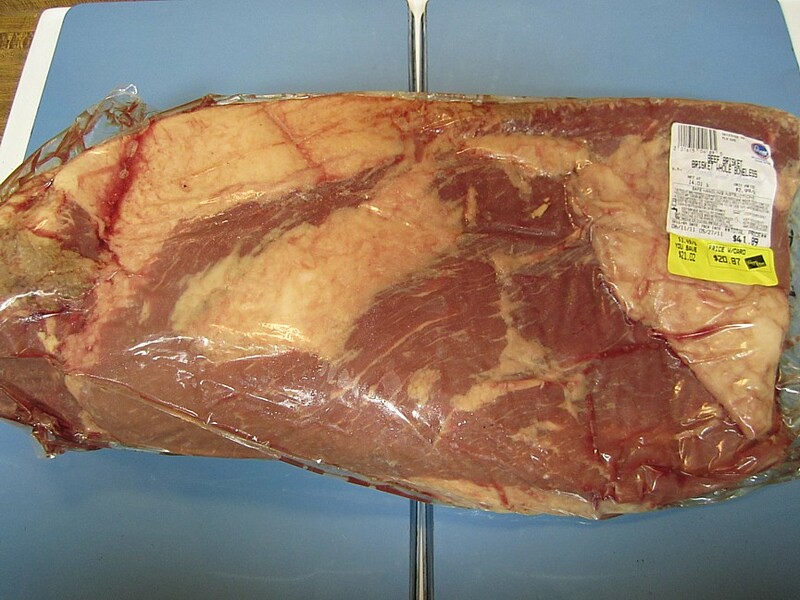 USDA choice briskets are on sale at $1.49/lb again so we just had to do another one. 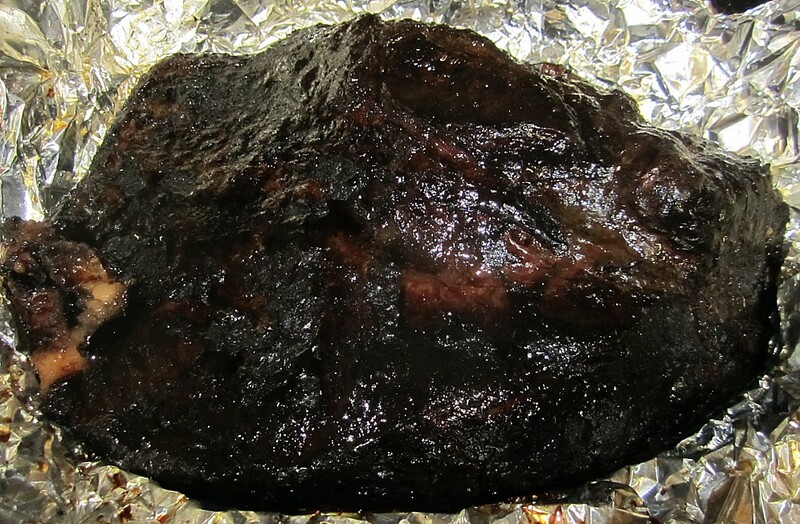 Last night she smoked a 10 pound brisket. 8 hours on the smoker and 4 hours in the oven. 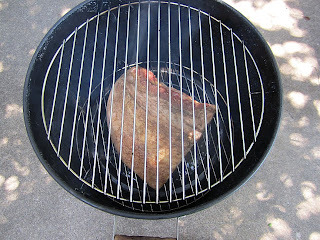 I paid a little more attention to her smoking techniques this time and I see how she gets so much more smoke flavor than I do. 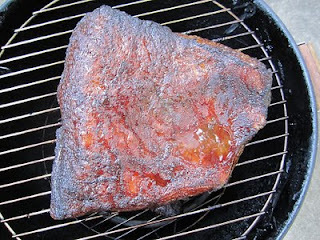 Anytime the smoke is not absolutely billowing out of the smoker she adds more coals and wood. I'd guess she cooks with almost 50% wood. 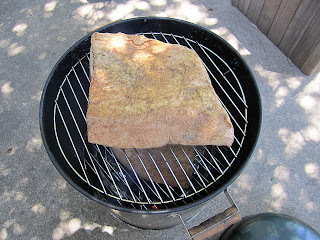 The result was a brisket with deep smoke flavor, perfectly rendered fat, and very moist and tender. Yes, I'm a lucky man! If that wasn't enough, she also smoked up a bunch of her excellent chicken as well. Sorry, no pictures of the chicken. We ate it! Thanks to Swag for sending this hilarious take on Hitler missing out on Franklin BBQ. The only thing I would change is the last line, which I'd change to Bill Miller BBQ! I love the Salt Lick! This is a new joint near one of my fishing haunts that has been open a few months. 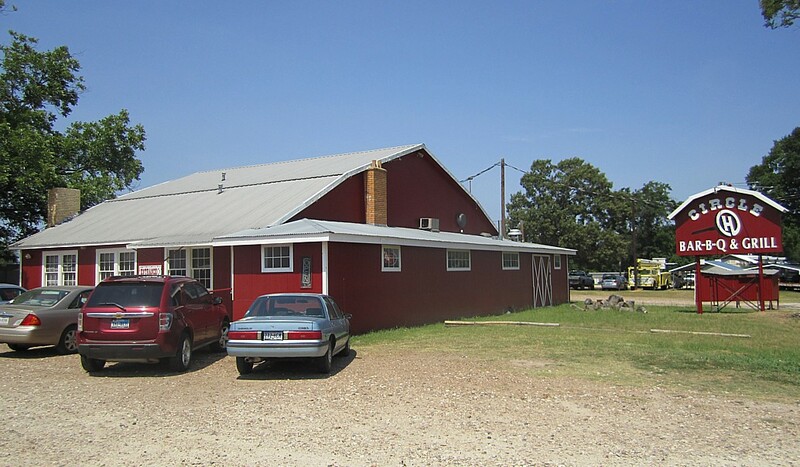 The building is old, but the BBQ joint is new. I got there just as they turned on the "open" sign and opened the doors on a Wednesday. Since they are closed Monday and Tuesday, I had high hopes of some great hot and fresh Q. The first disappointment is they do not offer ribs on their combination plate, or in any other fashion except on a rib plate or by the rack. I have had this problem at a few other joints and I just don't get it. Folks get a combo plate to sample everything. 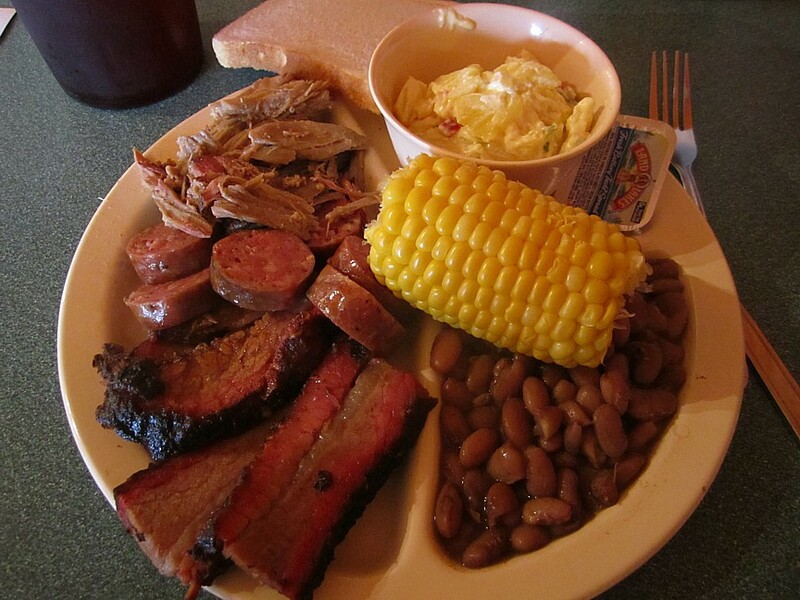 Their combo plate included pulled pork, sausage, brisket, corn, and two sides. No ribs, no chicken. Hey, it's their joint and they can do it as they like, but I'd sure like to have an option where you can sample all the meat. I suspect I am not alone in this regard. On arrival the brisket certainly looked nice. There was a burnt end and 3 inside slices with nice smoke rings. 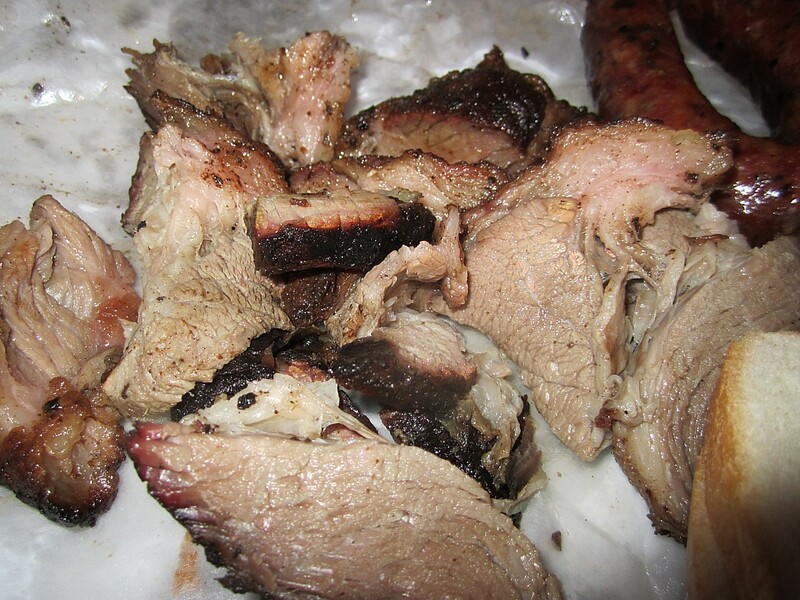 The burnt end was truly marvelous. 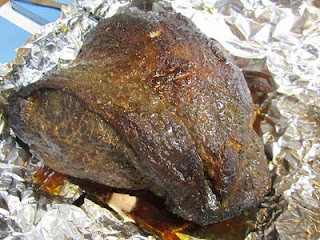 It was cooked to perfection, had a nice smoke flavor, excellent tenderness and moistness, and the fat was rendered to silky smooth melt-in-your-mouth nirvana. Unfortunately the rest of the slices were a little dry and a tad tougher. 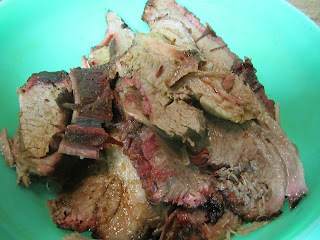 If I didn't know better, I'd say the burnt end was from a fresh brisket and the other slices came from a warmer after some holding time. The sausage was supermarket fare with no smoke flavor at all. 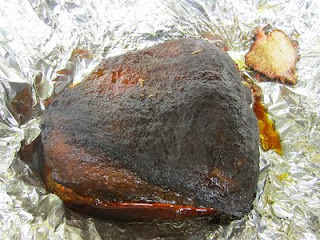 The pulled pork was moist and tender, but again zero smoke flavor. There was no bark in the pulled pork and it needed some sauce. Their sauce was very sweet and seemed to have a lot of honey in the base with a mix of mustard and tomato sauce. It did help out the pulled pork but wasn't really my kind of sauce. For sides I got the house tater salad, beans, and corn. The tater salad was the highlight with a nice fresh mayo base and onions. I liked it. It definitely didn't come out of a tub. The pinto beans were average and the corn on the cob was hot and juicy, but a bit watery. I am still disappointed I could not try the ribs with a combo. 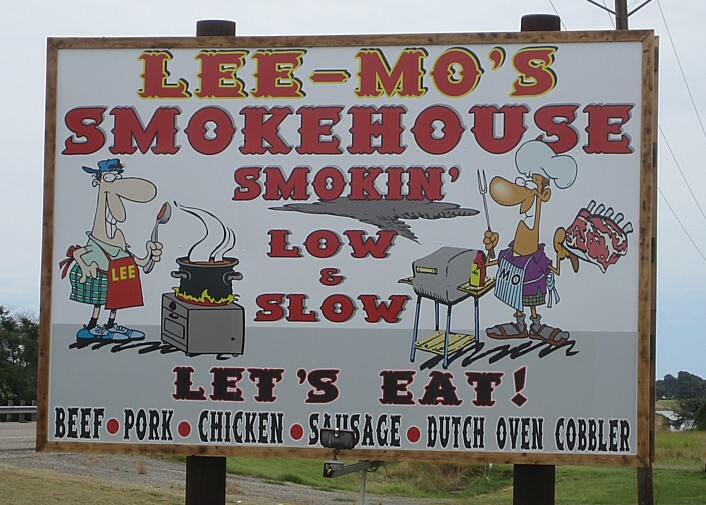 I plan to hit this joint another time, get a rib plate, and add on a quarter pound of brisket. I have put Yantis for the location as that is the closest town. It is actually about 4 miles south on Texas 154, just north of the Lake Fork bridge on the west side of the road. As if the lines weren't long enough already, here's an article in the NY Times where they mention that Franklin BBQ in Austin has been named best in the nation by Bon Appetit magazine. Wow. Congrats to Aaron Franklin! Thanks to Dave for the tip. 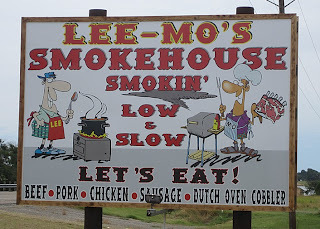 As I wrote a couple of weeks ago, I was excited about the prospect of Lockhart Smokehouse booking a local blues artist I enjoy and I was looking forward to heading over to give their Q another try. Several other bloggers have been saying they've upped their game so it was definitely time for another go. The Mrs rode along this time and we arrived around the 7:30 pm start time for the music and headed for the counter to order. The nice lady told me they were out of brisket but still had shoulder, ribs, and rings which was more than I had hoped for at this late hour. 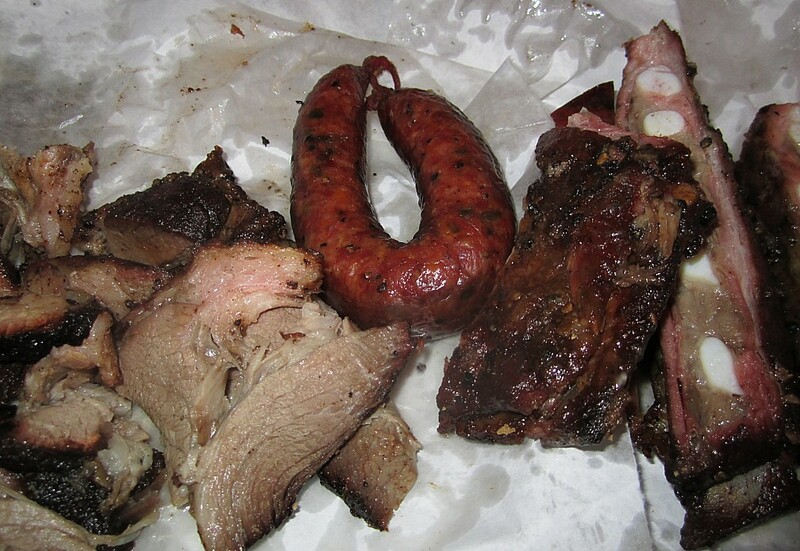 We got a half pound of clod, a couple of ribs, and a Kreuz jalapeno cheese ring and they were kind enough to throw in some extra burnt ends and two extra ribs. Alright, a nice start! Then things started getting weird. My wife asks if I would like a fork. As I turned to explain to her about "No Forks, No Sauce, No Kidding!" I see that she is holding two plastic forks. 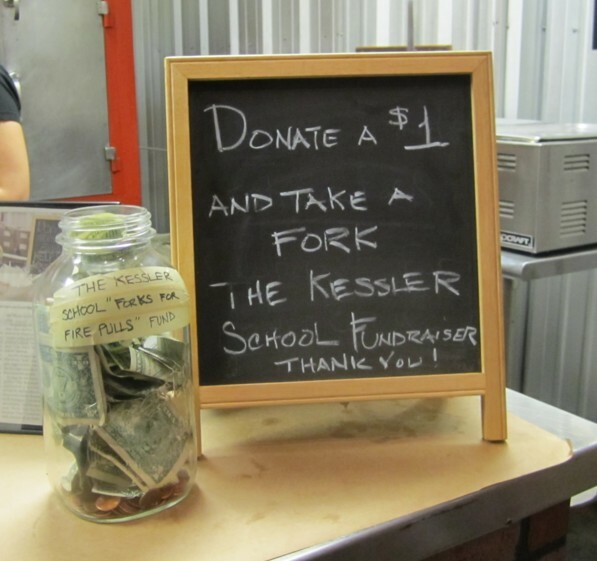 Humna humna humna... Then the nice lady at the counter explains that the forks are a special fundraiser and are available for a $1 donation to the Kessler School fund. Well, ok, we'll take one for wifey, but I like my fingers greasey, thank you very much! I wonder how much they could raise with sauce and plates? We made our way around to the seating and I was a little surprised not to see the musician set up. Hmmm. After getting our beverages and digging in this is what we saw. The shoulder clod was not bad. Mostly salty roast beef tasting but fairly tender and moist. 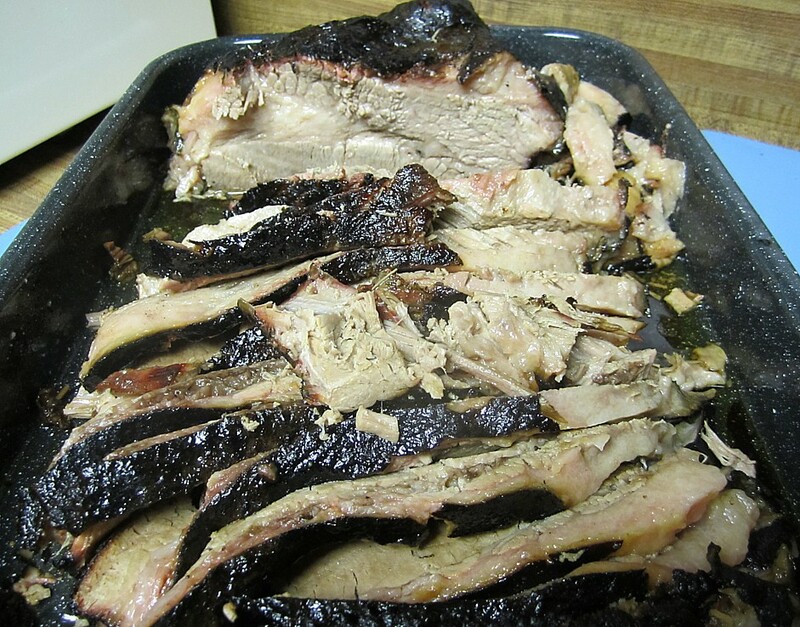 The KCBS pull apart test showed it to be a bit undercooked and the fat was not quite fully rendered. I tried chewing a few blackened bits of fat, just to see, and they chewed like rubber. The best bits of clod were the little burnt end bits which had nice smoke flavor that was not overpowered by the salt rub. I wish I'd had a pile of that. Their ribs have improved quite a bit since my first visit several months back. We had two inside ribs and two ends, including a two bone rib tip. The inside bones and tip were nice and tender and were also a bit salty. If there was any smoke flavor to be had, it was overpowered by the salt. However these were nice and tender, unlike the ribs I had on my last visit. The big end was overcooked, dry, and a bit tough, but three nice bones out of 4 at 7:30 pm is pretty durned good in my book. The jalapeno cheese link was awesome, as always. It's hard to mess up what Kreuz does best, especially when all you have to do is warm it up a bit. As the staff passed around the room to check on tables, I asked where the music was. The lady told me they had been expecting a very large crowd so they cancelled the musician. Hmmm. Now live music was half the reason we drove 20 miles to get there. Looking at the dining room, there were about 4 occupied tables and a few people seated at the bar. Hmmm. Looking out the door at their sandwich sign it still said "Live music Friday and Saturday nights 7:30". Their website said the same. So I'm a bit confused by Lockhart Smokehouse. No forks, except when there are, Live music on Friday and Saturday nights, except when there isn't. As we headed out down Davis we passed by Luckie's Smokehouse. They had a two piece band out on the patio and the joint was packed. Hmmmm. 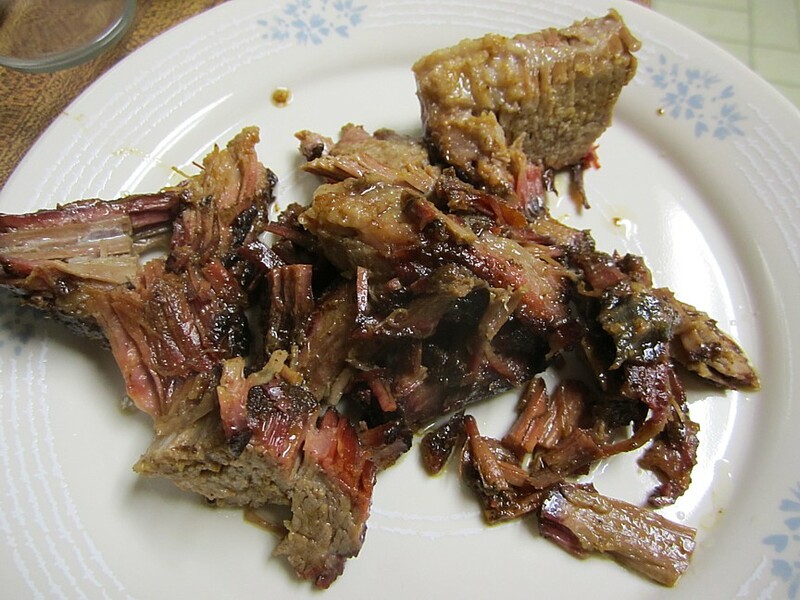 Marcia Ball opines on BBQ! Last night I had a chance to interview ﻿the great Marcia Ball as part of my blues radio gig. Coincidently, several years ago, she put out a CD titled "Peace, Love, and BBQ" which she says are three of her favorite things. So naturally, during the interview I just had to ask her for her all-time favorite BBQ joints. She said her favorite is to drive to Lockhart and eat at Smitty's. 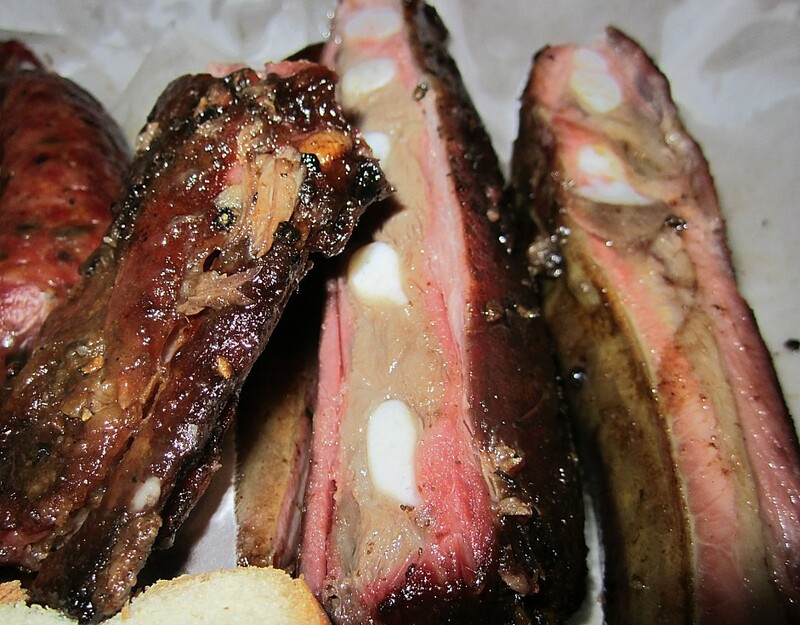 In town (Austin), she likes the ribs at Artz Rib House and the brisket at Franklin BBQ. Oh, and btw, she has a nice chicken gumbo recipe on the front of her website! I had hoped it might happen and it now looks like Lockhart Smokehouse in Dallas might try bringing my two favorite things together, BBQ and blues. They've booked Joel Foy for Saturday, June 18th at 7:30 pm. That might give me a good excuse to head over there and give them another try! Why not, indeed. 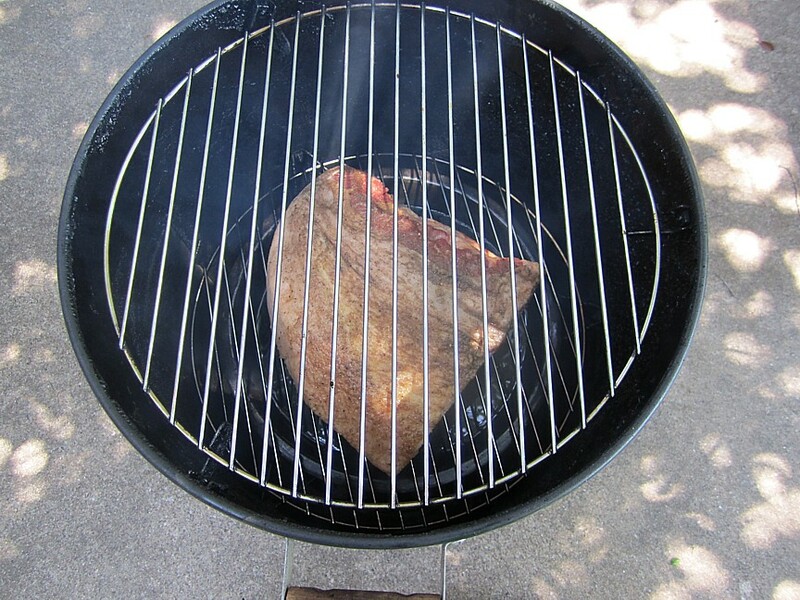 They're still a bargain, on sale at $1.49/pound, so this time I smoked up a 14 pounder. I do not claim to be a BBQ cook, more of a BBQ eater, but this messing around gives me even more appreciation of those who can do it right. As this was a big boy for our little bullet smoker, I cut it in half and smoked the thick end on the bottom rack and the point end on the top rack. 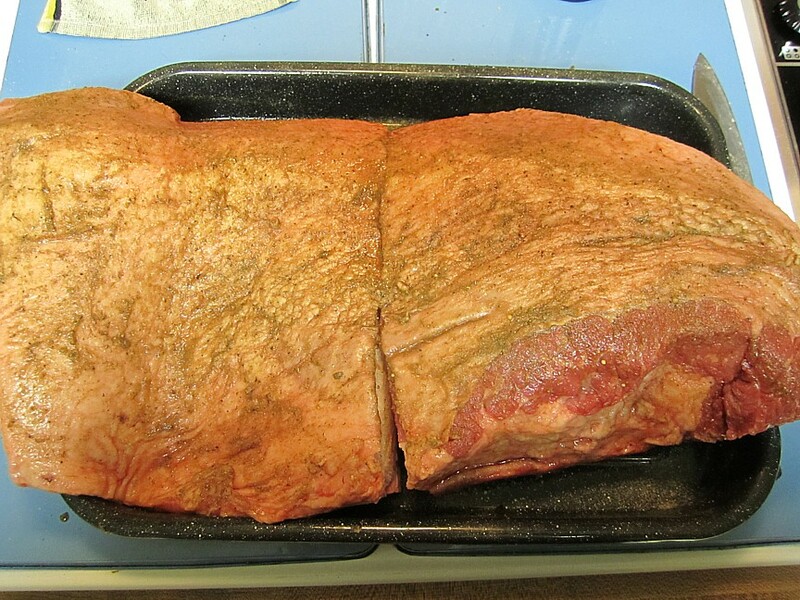 Fat side up, un-trimmed and un-messed with, except for a thick rub down. 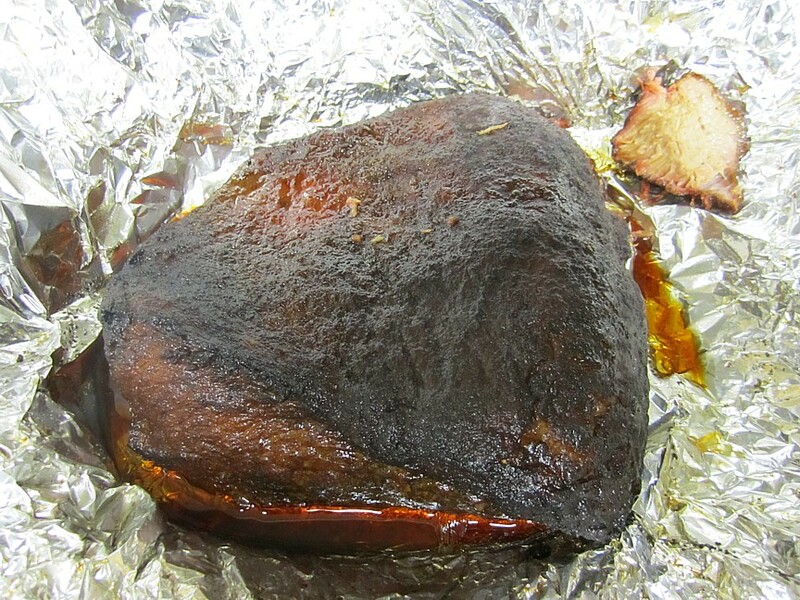 After 7 hours on the smoker, with lots of water-soaked pecan wood added, they got another rub down and went into the oven wrapped in foil at 250 for another 4 hours. The result was moist and tender but still lacking the deep smoke flavor I crave. Durn it! I have to say I noticed a big difference in the USDA select grade I smoked this time versus the choice grade I smoked last time. That makes a very big difference. I think I need to find me some USDA prime brisket, sometime. Chet Garner's TV show often covers BBQ and they now have the episodes online. The Lockhart episode features all 4 Lockhart Q joints. 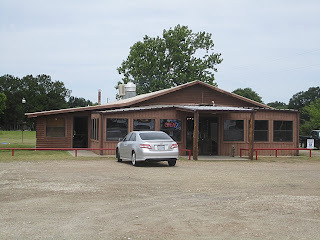 The Luling to Shiner episode features both Luling joints and closely follows the route of a trip Scott and I have made. The BBQ part is in the first 9 minutes.